Solid construction and unmatched reliability. 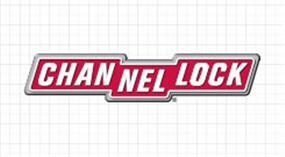 CHANNELLOCK® Retaining Ring pliers have the kind of accuracy and engineering that'll keep them in your toolbox for years to come. Specifications: External: 1/4" to 2", Internal: 3/8" to 2"
WARNING: This product can expose you to chemicals including di-isononyl phthalate compounds, which are known to the state of California to cause cancer, and di-isodecyl phthalate which are known to the state of California to cause birth defects or other reproductive harm.